Welcome to our 2018 class website! I am excited to be part of an inspiring and quality learning community. 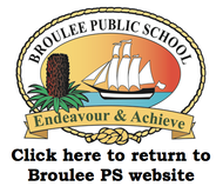 As a member of the dedicated and committed staff at Broulee Public School, I am focused on providing a learning environment that optimises every possible learning opportunity and enhances a love of learning 24/7. We strive to create a passion for life long learning, with a commitment to innovative, flexible and creative thinking for each and every child. 4M uses this space to share their learning endeavours towards achievement and success. We invite you to be a virtual partner of our learning space. Check out and follow our learning adventures throughout 2019! If, at any stage, you need to contact me, please call our friendly admin team on 4471 6120 or via the contact from below. Please note that the contact form below should not be used for urgent, same-day information or notification of changes to bus routines, as the link is not checked during the school day. Absences can be explained online via the link in the absentee form section at the top of this page.